This is Bailey the first time I met him. He would become my grandson. My first grandson. I now have four! But this is about Bailey. 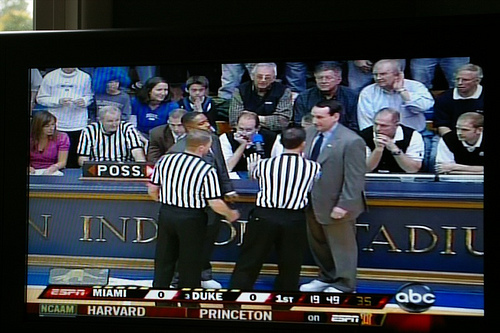 Here he is in 2005 at his first Duke basketball game. 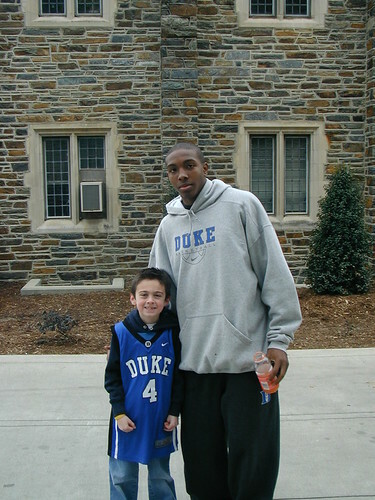 He and his dad flew from Denver to Durham in order for Bailey to experience college basketball up close and personal. Bailey had some growing to do to reach the height of DeMarcus Nelson. 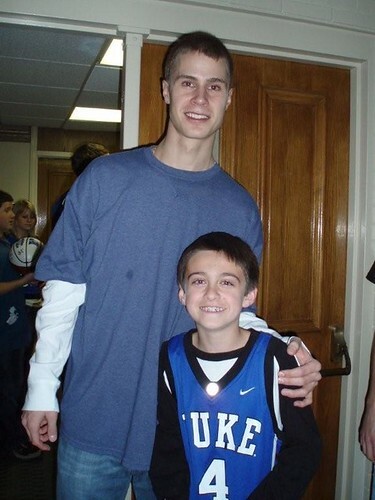 In 2008 Bailey and his mom made the same trip to Durham for another Duke game. We watched them from the flat side of our TV. All this to say the Andersons are bigtime basketball fans. Yes, they like to watch college basketball, but this year they have become huge fans of high school basketball. 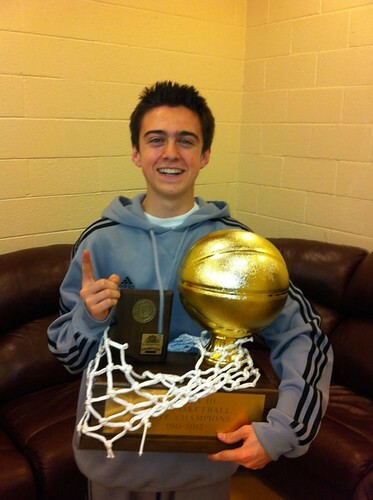 Bailey’s been suiting up with the varsity team although he’s a mere freshman. And look! Wow, Bailey!!! That’s awesome–congratulations! 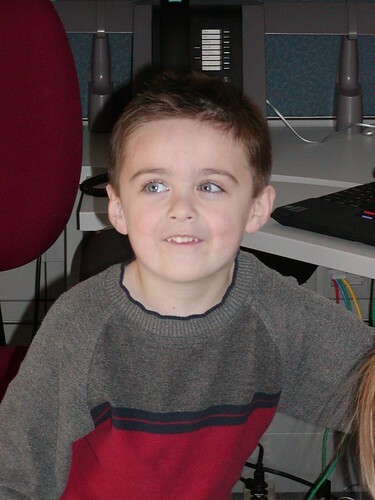 (Sherry, I always appreciate the timelines you are able to create with a few pics–so fun! ).